Just few days are left! SSC CGL 2014 Tier-II exam is going to be held on April 11 & 12, 2015. There are very little span of time you have. It's the time to be prepared well for the exam. Hope you are doing so. Did you read Important Tips by N.K. Raghupathy Sir for SSC CGL 2014 Tier-II Quantitative Ability (Paper-I)? If not, read out. Now we are sharing here very useful suggestions and analysis on SSC CGL Tier-II English (Paper-II) by Raghupathy sir. Go through! What he actually shared we have published here. For the candidates of CGLE 2014 appearing in the Tier II Examination in April 2015, the following analysis of Question Paper of “Paper II- English Language and Comprehension’ in Reexamination of CGL 2013 Tier II may be useful. Though the actual number of questions in each category may vary from year to year, an analysis of the past three years’ papers shows that the pattern is by and large identical. So friends, hope N.K. Raghupathy sir's suggestion will help you very much for your upcoming SSC CGL Tier-II exam. Good Luck! Read out here Tips for SSC CGL 2014 Tier-II Quantitative Ability (Paper-I) by Mr. N.K. Raghupathy. 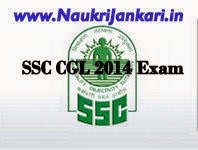 0 comments for " Analysis on SSC CGL 2014 Tier-II English by Mr. N.K. Raghupathy "